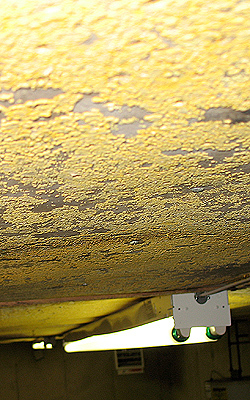 We believe in a Scientific Systematic approach in testing and inspecting for mold and moisture in your home. How is this accomplished? 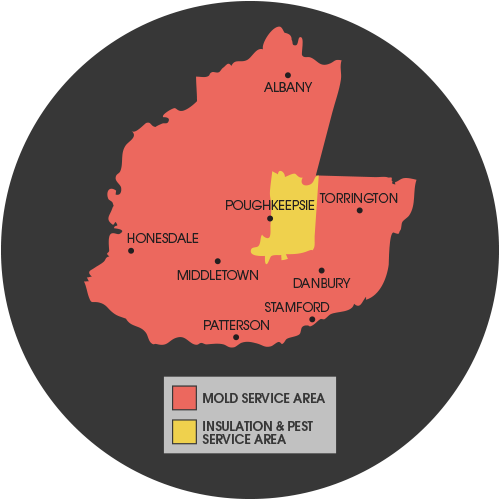 With our comprehensive approach, we are able to reach a successful end result and help keep your home safe from mold. Call us today for your Free Estimate! During the course of your inspection, we will be gathering information provided by our experience, instruments and your input! We have performed thousands of inspections before and we utilize the latest technology such as moisture meters, laser particle counters, and a thermal imaging camera. Your input is vital to our mutual success. We listen to your experiences within your home and your particular sensitivity. The inspection process includes all those elements and more such as the all-important risk assessment. The risk assessment is derived using information compiled during the inspection, coupled with your immune system profile and lab results. The lab results give us factors to integrate into the inspection process. Without lab results, your inspection process becomes just opinion. It is imperative to have a complete understanding of how this scientific systematic approach works for a variety of structures so that you may be able to reach a successful conclusion. It is impossible to classify a mold type by sight. With around 100,000 species known, an educated guess could be a disaster! Samples may need to be harvested either from the air (M-5, air-o-cell) or from a direct contact method (swab, tape, bulk). They are then sent to a certified third party independent lab for analysis. Sampling and the use of specialty equipment may allow us to find mold that is hidden inside walls, ceilings, attics, duct systems, and crawl spaces. Once the comprehensive inspection and testing has been expertly performed, the remediation process can start. Do not ever start a project without first going through these proper steps to ensure your safety. This customized plan and specialized products set Expediant apart from everyone else.